In Spring 2004, contemporary artists, cuators, and media studies scholars organized Parasite-Tactical Media Networks (2004-2006) to study contemporary art, society, and media and to suggest contemporary aesthetic issues. 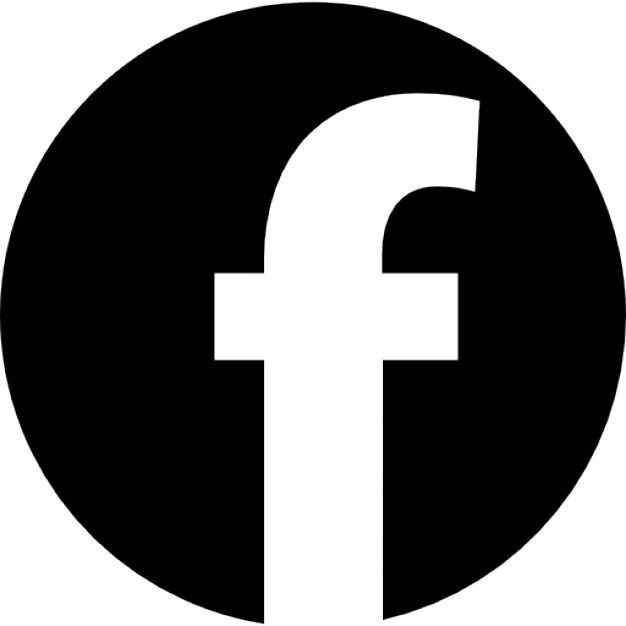 Later, in July 2006, through a performance project Parasite Services, we preseneted art activities that can intervene among the borders of private/public spaces, and the art services artists can provide in a rapidly individualizing media era. Message boards were presented, which can be used and adapted to an individual’s taste and fashion, along with art pratices that applies to new environments, all of which helped to illustrate the directional options of art’s social role. This was done in response to the rapidly changing contemporary and social environment that was transitioning into late industrial soceity, and media environment. Parasite Parachute 1.0 was one of the art services proposed as part of Parasite Services. This work was a psychological action to block the urbanization and industrialization and to restore past values. This involved flying Para-Seed in the air with Parasite Parachute delving into the various in-between spaces of our artificial city. Instruction Manual for Parasite Parachute 1.0 was openly and freely distributed to invite all who sympathized with the artist’s intention and motivation to create Parasite Parachute. 2004년 봄. 동시대 예술가, 기획자, 미디어 연구자들이 동시대 예술과 사회 그리고 미디어를 연구하고 동시대 미적 이슈를 제안하기 위해 < Parasite-Tactical Media Networks(2004-2006) >을 조직하였다. 이후 2006년 7월에는 실행 프로젝트을 통해 공적/사적 경계에서 개입가능한 예술행위, 개인 미디어시대로 빠르게 변화되어가던 시기에 예술가가 제공가능한 예술서비스, 개인의 취향과 패션에 응용되어 사용가능한 메시지 보드, 그리고 특정공간/특정인에게 제공하는 특정서비스 등 개인미디어 환경와 후기산업사회로 빠르게 변화해가던 당시 사회분위기에 반응하여, 예술의 사회실천적 방향모색을 하며, 새로운 환경에 작용할 수 있는 예술실행을 발표하였다. 그 중 < Parasite Parachute 1.0>은 중 하나로 제안했던 예술서비스중 하나이다. 이 작업은 도시화/산업화를 정지시키거나, 과거의 가치를 회복시키기 위한 심리적 행위로서, 인위적인 도시속의 다양한 틈새 공간에 Parasite Parachute를 통해 Para-Seed를 공중에서 날리는 작업을 실행하였다. 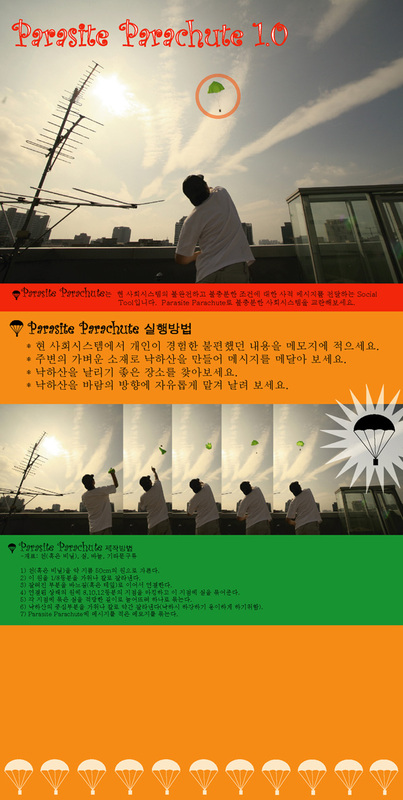 < Execution Manual for Parasite Parachute 1.0 >은 작가의 의도에 동의하여 실행하고자 하는 누구나다 자유롭게 ‘Parasite Parachute’를 제작할 수 있도록 공개배포하였다.